I know that I am rather behind on Cauldrons and Cupcakes’ Weekly Journal project. I believe that we are in Week 4, but my depression and social anxiety has been hitting me hard in the past few weeks, and I will definitely admit that I’ve been struggling more than usual with my daily routines. Therefore, I’m not posting as much. As well, as much as I’d intended to post my weekly process in this project, I haven’t been… but I have been doing the meditations and journaling. The words/phrase: You can’t go back- only forward. Do not be afraid. …and I drew the oracle card, The Hare. Magenta: Passion. Creativity. Confidence. Sexuality. I do think about the past- how I used to allow myself to feel so readily, and how it is not so easy now because of how I feel about my body. When I think of the color magenta, I especially think of passion and body confidence. During the meditation, I also felt nudged to associate this color with the intersection between sexuality and spirituality. It is a warm, passionate color that has playfulness about it that especially reminds me of when my sexuality was uncomplicated and fun and I had the confidence to move and enjoy and I felt better about my body. I wonder how to get back to that sense of passion and body confidence. With this in mind, I am trying to re-discover it by taking better care of my body. I am trying to do less comfort-eating and engage in more exercise and physical activities. For this reason, I am often overwhelmed (or likewise reluctant) to begin weeding — but once I do begin, I reach a good rhythm in my work. Soon enough, I’ve worked up a good sweat in the Florida sun, but I do not notice the intensity of my efforts until I’ve begun to see droplets falling into the soft, dark soil. I am perspiring freely into the dirt. 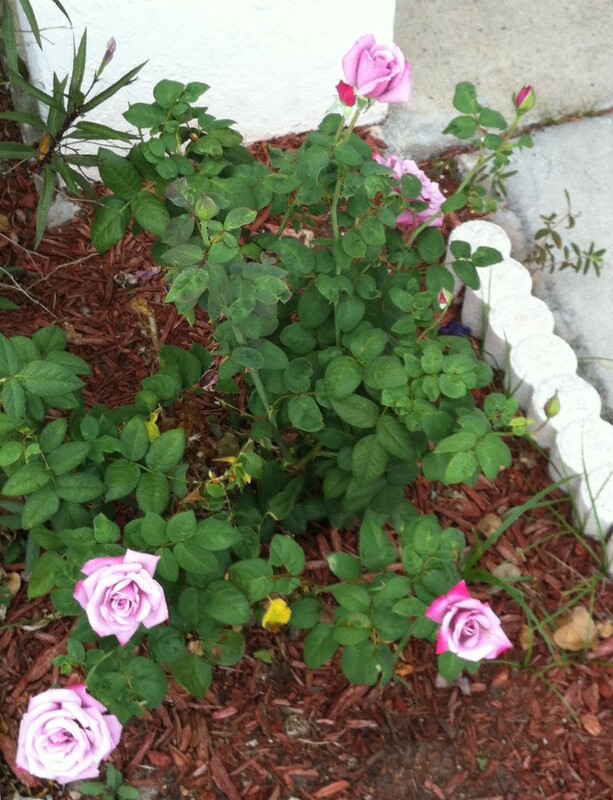 Perhaps this is my offering – the sweat of my work as I clear away the weeds, deadfall, and other withered debris around my single rose bush and heather. The heather is rather large now and I have had to cut it back several times due to its growth. I feed both the rose-bush and the heather regularly enough that it’s quite possible if I left those two plants alone, they might take over the rest of the garden…if the weeds’ root-systems didn’t often choke them out. Perhaps the front garden could be a metaphor for my life right now: The beauty of my garden is only found in one neat little corner while the rest is either choked with weeds or barren of growth. But if joy (ie, the flowers) were allowed to flourish, that joy just might overtake everything. Magenta is the color of passionate growth,as the blooms of the rose-bush are light pink edged in varying shades of dark pink, or magenta. I was a few days behind on this challenge, but I caught myself up the other day when my Oracle cards arrived in the mail. If any of my readers would like to participate in this challenge, here’s the opening meditation link at Cauldrons and Cupcakes. I am using the Druid Animal Oracle cards for these exercises, and my guidance stone is a piece of lepidolite. My gratitude stone is a piece of honey-red carnelian, tumbled smooth. After listening to the first guided meditation, I received not one but two colors to focus on for the first week’s exercise. Electric yellow-green reminds me of happy, sunny things. My first thoughts concerned warmth, happiness and youth. This color is especially keyed into one of my favorite flavors, and I tasted it immediately upon seeing this color: lime. I love lime-flavored things, especially that tart-sweet flavor in candies like Skittles and LifeSavers, and I know that I might be the odd one out to say that I absolutely despise when candymakers change their green flavored candies from what was formerly lime-flavored to a dreadful sour apple, or worse, kiwi-flavored candy. But other than that, this color is a very evocative color for…my tastebuds anyway. 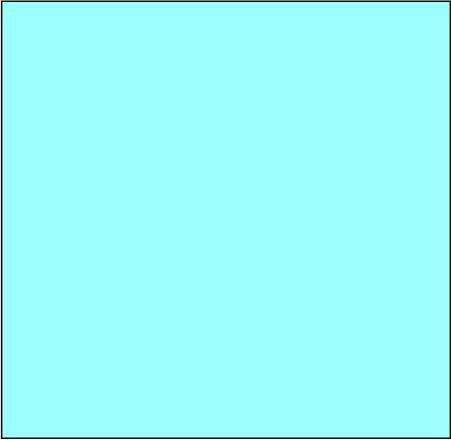 Meanwhile, this pale turquoise blue is related to that green in that I also associate it with a particular flavor – the taste of mint, of menthol. This shade of blue makes me think particularly of water and sky — cool, peaceful sensations of calm and steadiness — with a subtle undercurrent of sharp intensity. I think of still calm waters that belie icy depths. I think of breezes that precede the approach of storms – wind, rain – and change. I think of all that I have allowed. –I’ve allowed myself to be happy, when I’ve allowed myself to enjoy. This is difficult work for me. Allow myself to become aware of my own value. Allow Them to show Their faces to me. He waits — but I am afraid and I negotiate myself out of allowing Him access out of fear. 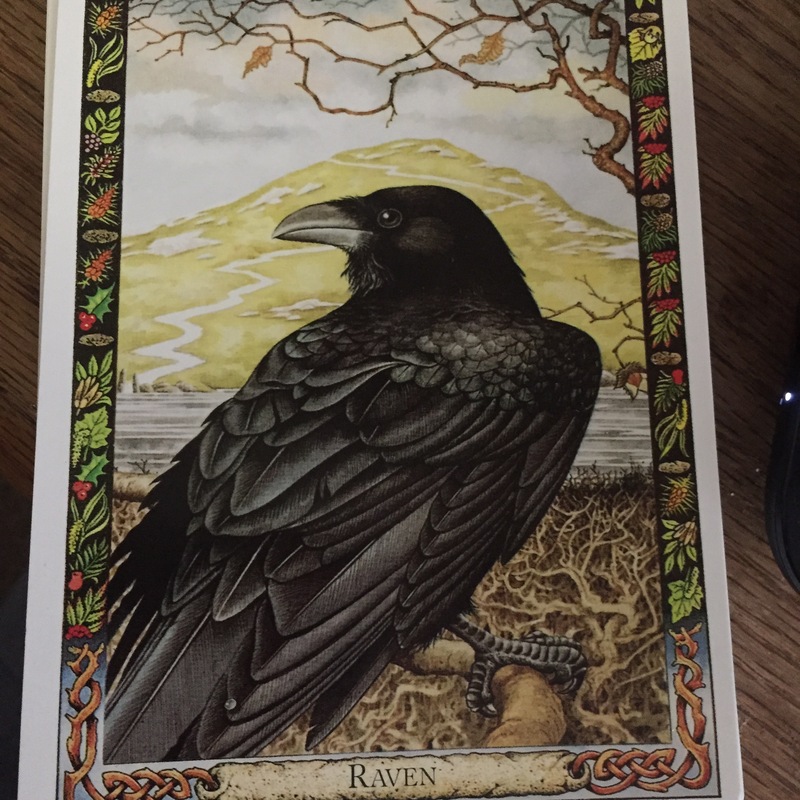 This card makes me think of….Odin. As well, the intuitions that come to me from this card concern path-work, mystery, the process of reaching goals. I think of autumn when I look at this card, and I notice the mountain in the background with its winding path to the summit. I see the suggestion of a gate at the base of the mountain and a few spiral motifs featured on the stones scattered there. Spirals can represent energy radiating out (or inward depending on your perspective). Spirals can also symbolize growth, birth and expansion of consciousness. Of course, there is more, but these are the main jumping off points for my journal-keeping this week. The second guided meditation -for Week 2 – is here.